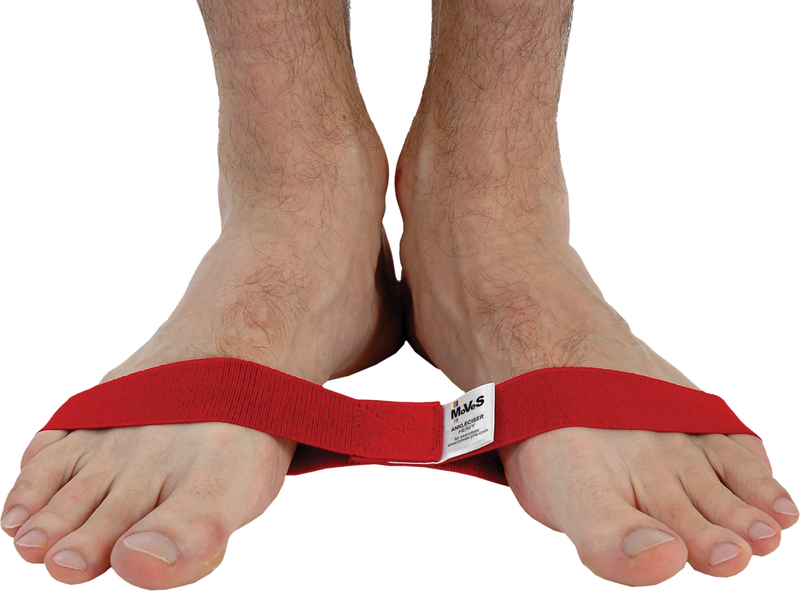 The MoVeS Ankleciser is a great resistive exercisere product for ankle training. First of all, it complies to all the quality standards we demand for our MoVeS brand products. In addition, it’s as easy in use as it’s effective. The feet slip comfortably into the latex free elastic band which consists of two stitched loops. Because this progressive exercise system enables the user to chose the desired resistance level to perform the exercises, it can be used from rehab to athlete. Finally, it’s available in a set of 4 resistances or in a 5-pack of the same resistance. You can find an exercise sheet here.